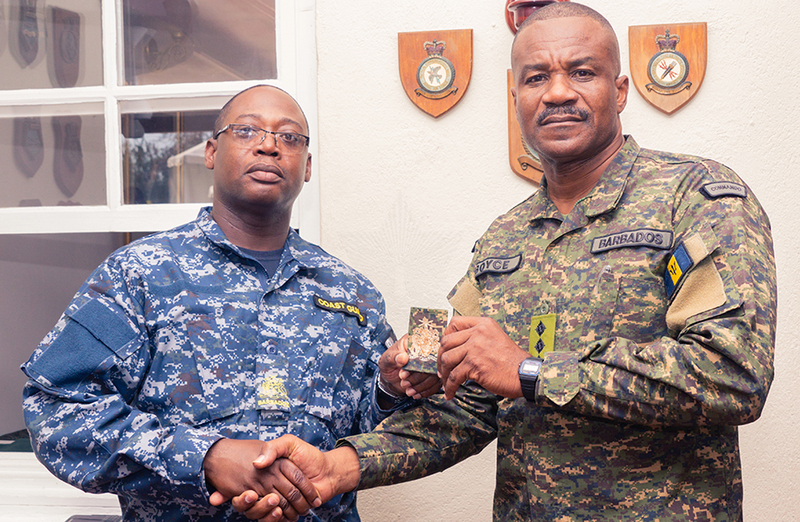 Master Chief Petty Officer Class One (MCPO1) Austin Howell has been appointed Force Sergeant Major (FSM) effective 1 April 2019. 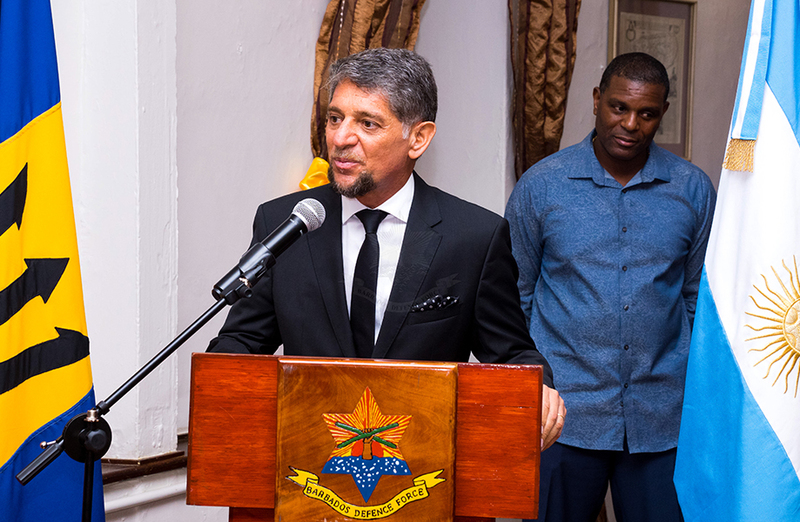 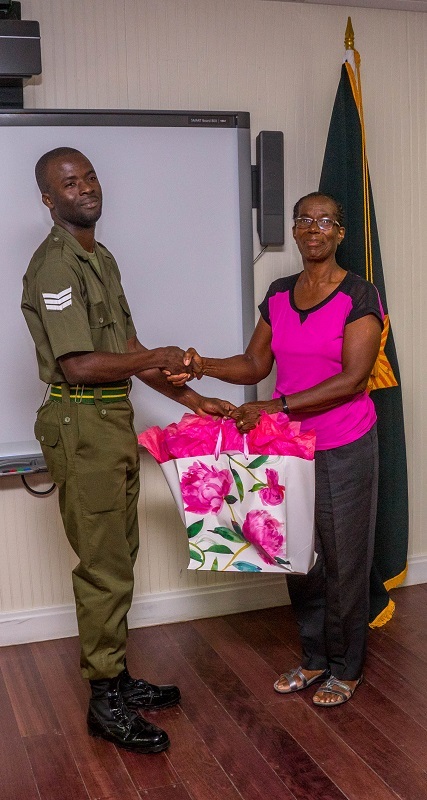 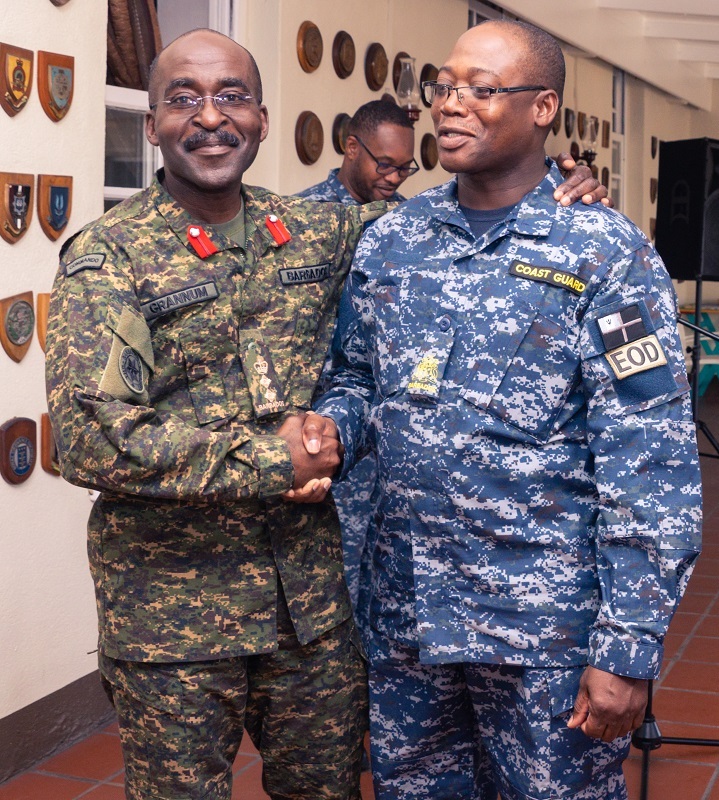 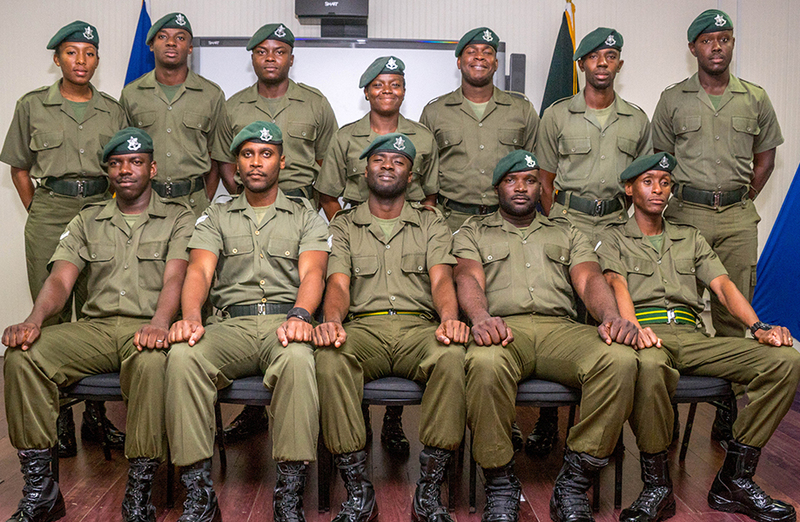 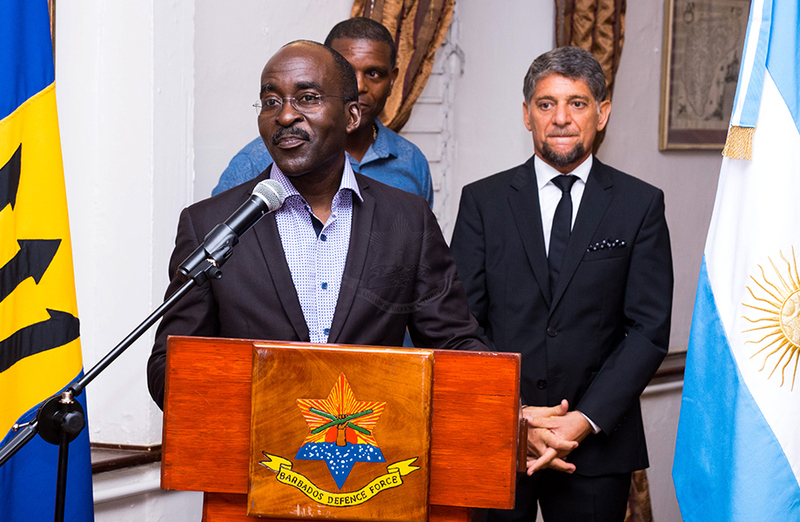 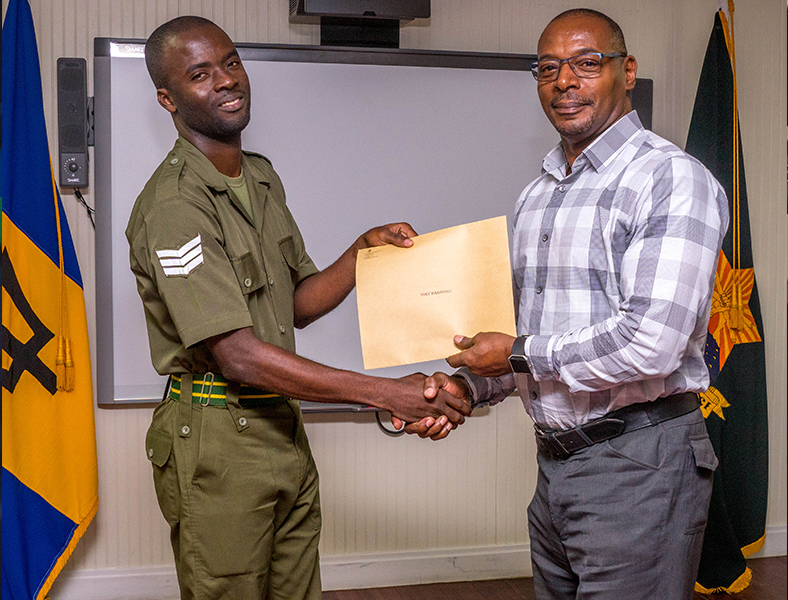 As a 30-year veteran of the BDF, MCPO1 Howell was appointed following the Commissioning of the former FSM Warrant Officer Class 1 Samuel Boyce in the rank of Captain. 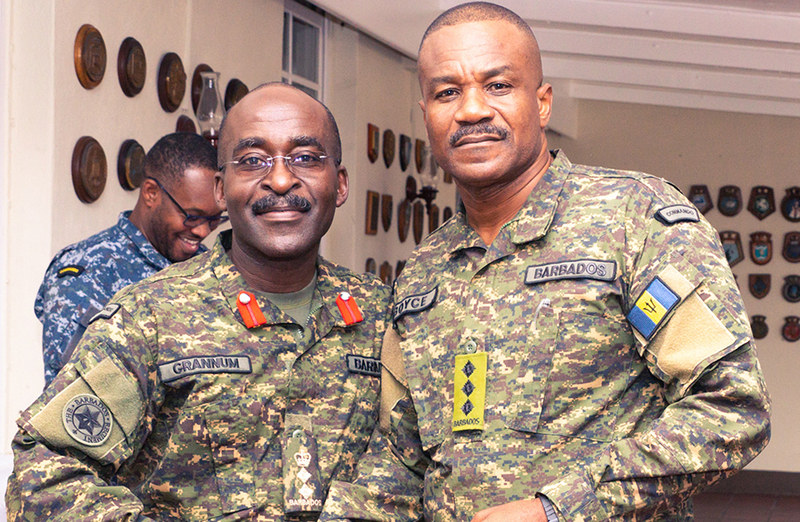 As the most senior enlisted rank, the FSM acts as an advisor to the Chief of Staff, the senior command element, with specific responsibilities for junior enlisted leadership, discipline, ceremonial and parade matters among many other responsibilities. 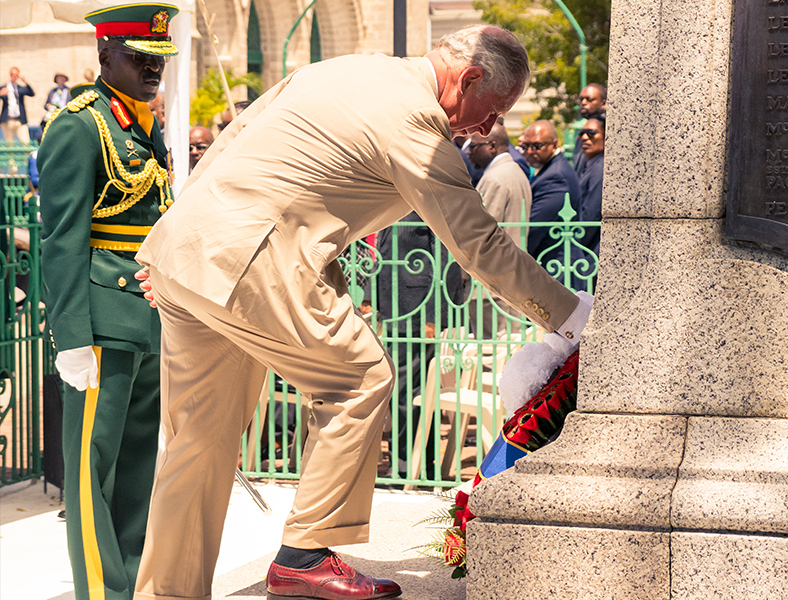 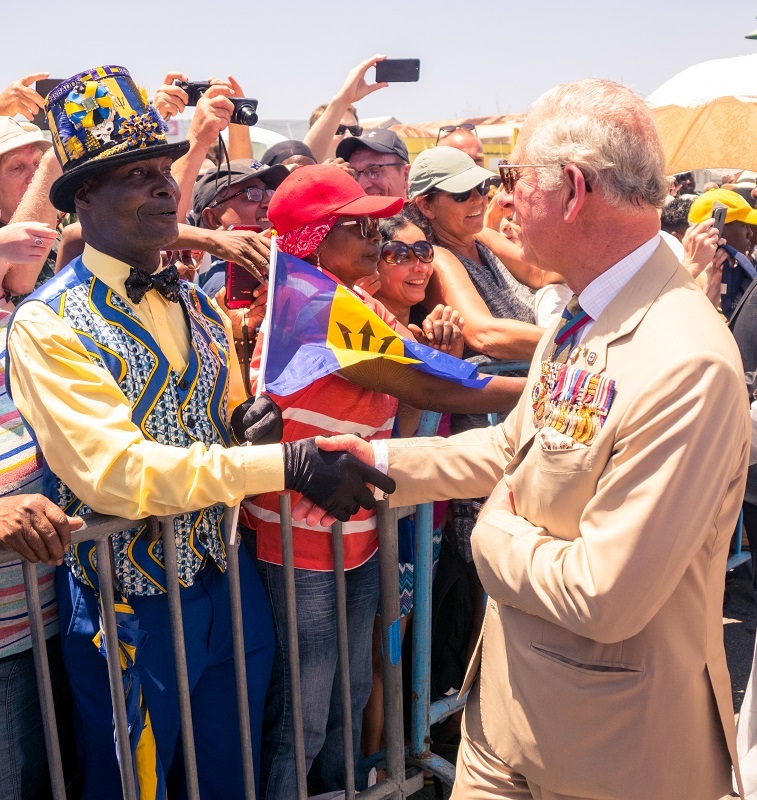 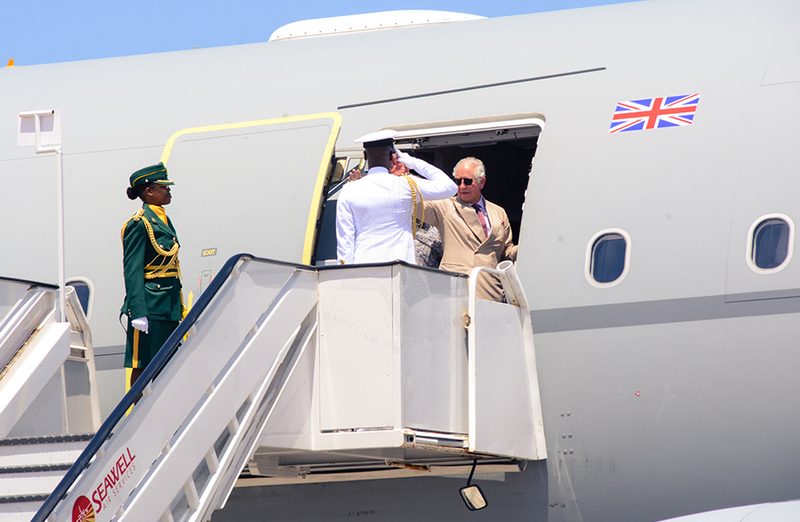 As part of Their Royal Highnesses, the Prince of Wales and the Duchess of Cornwall, 10 day visit to the Commonwealth Caribbean islands and in recognition of the Barbados Defence Force’s 40th Anniversary of establishment, a Parade was held 19 March 2019 in National Hereos’ Square. 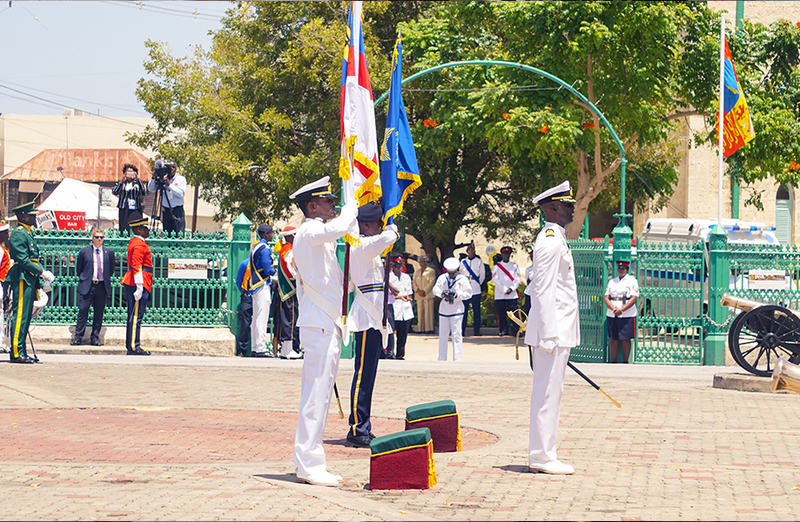 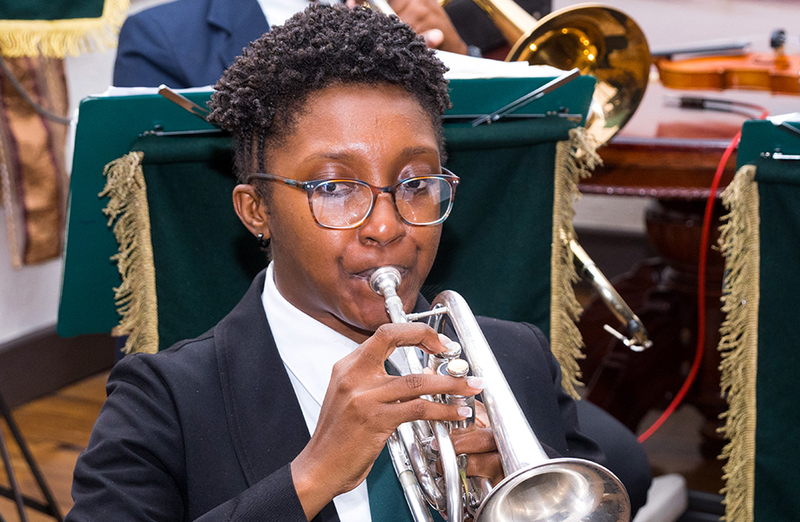 During the Parade, His Royal Highness officially presented the Barbados Coast Guard Colour and Barbados Cadet Corps Banner. 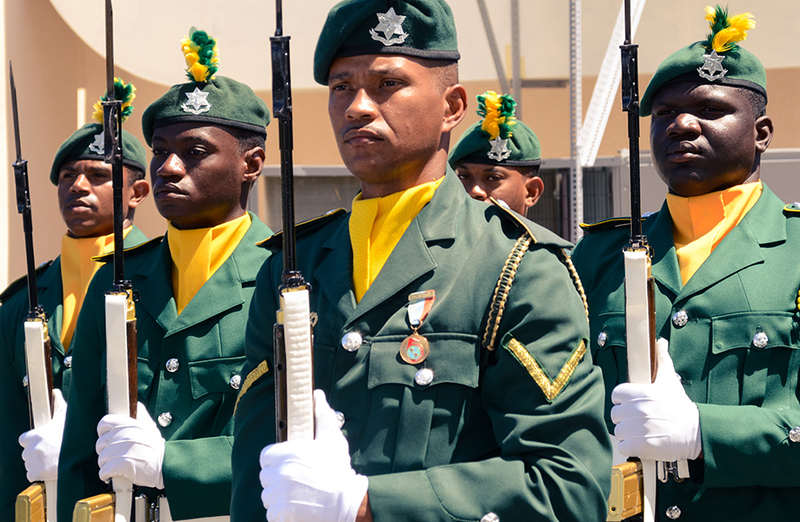 The Colour and Banner presented to these units of the BDF, join Queen’s Colour and the Regimental Colour presented to the Barbados Regiment in February 1981. 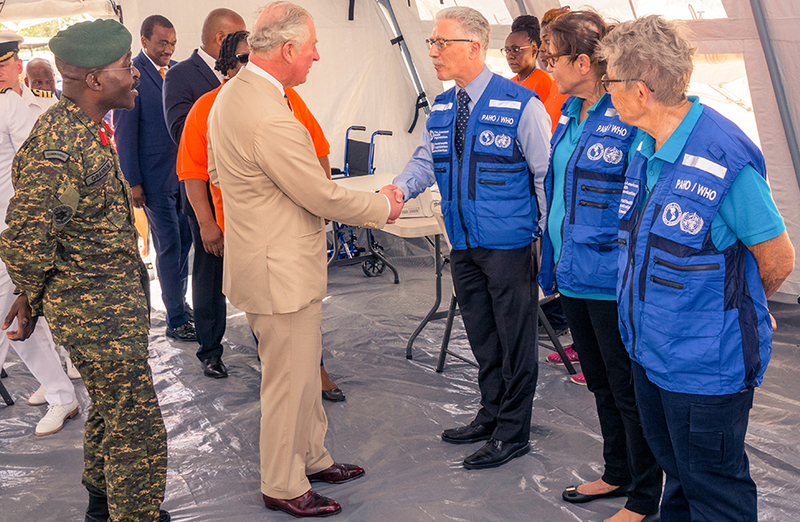 HRH also visited the Barbados Defence Force’s Field Medical Facility, where he viewed the equipment and interacted with the FMF’s personnel. 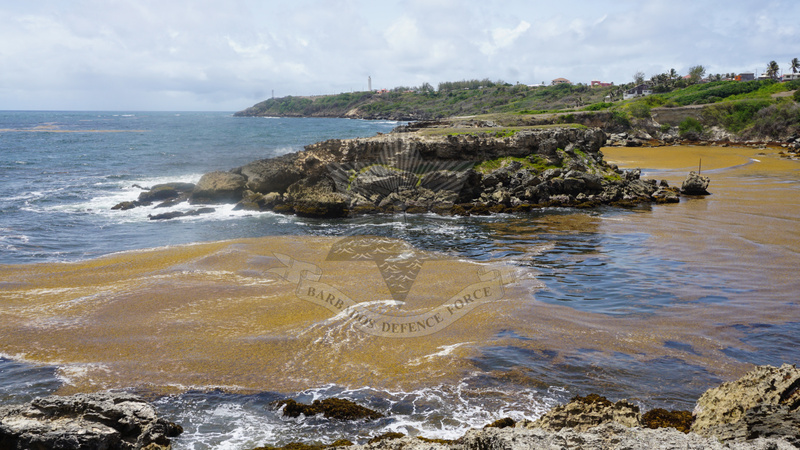 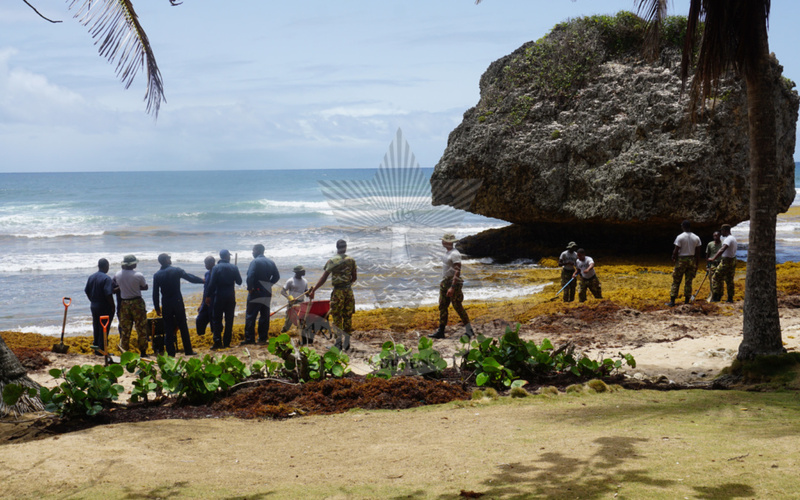 The Barbados Defence Force continues its partnered efforts in clearing the Sargassum seaweed plagued beaches of the island’s East and South Coasts. 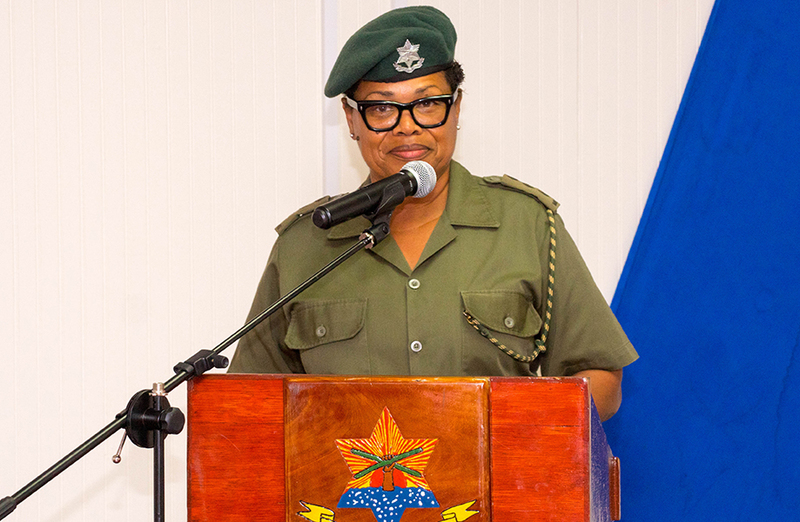 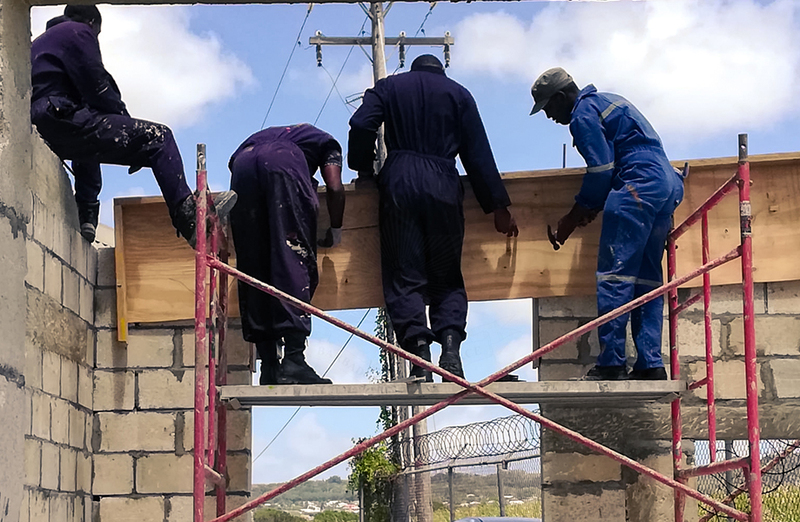 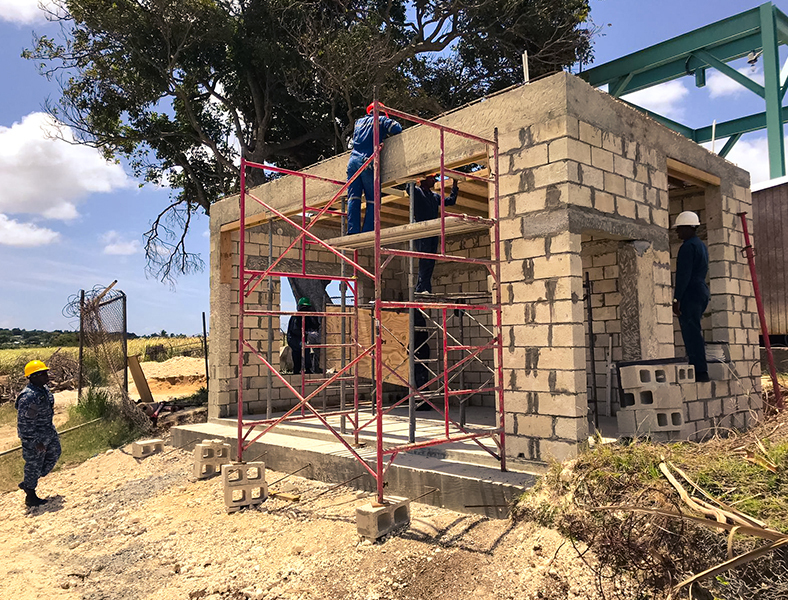 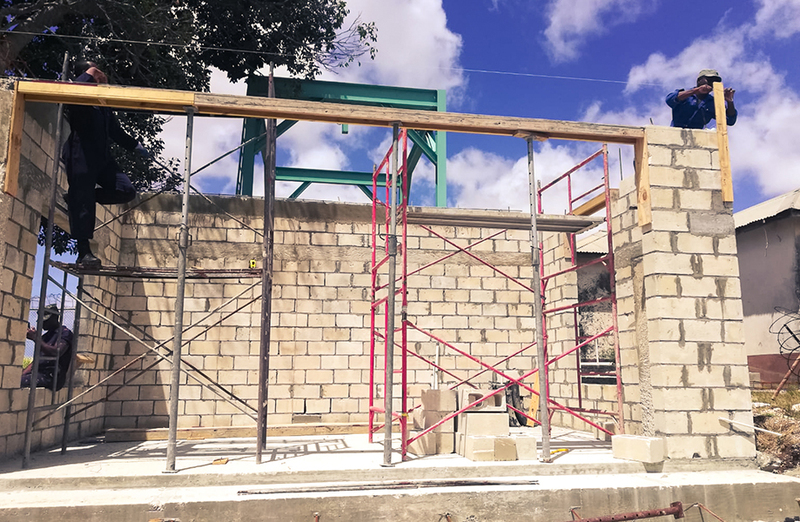 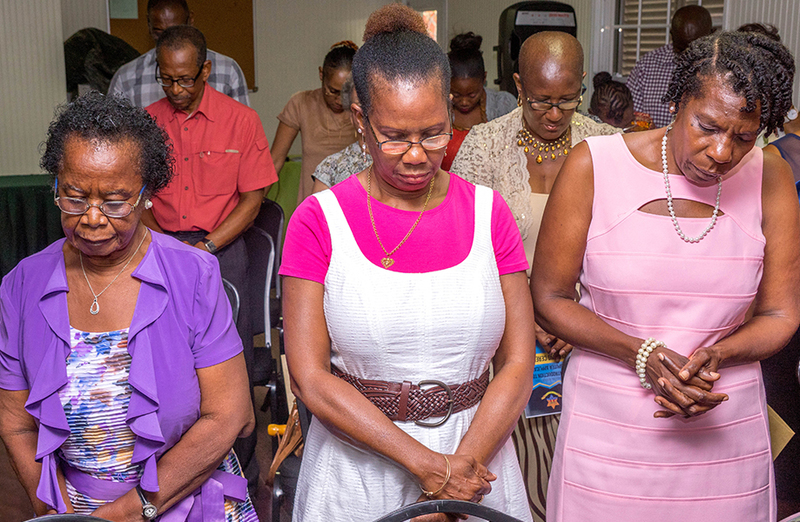 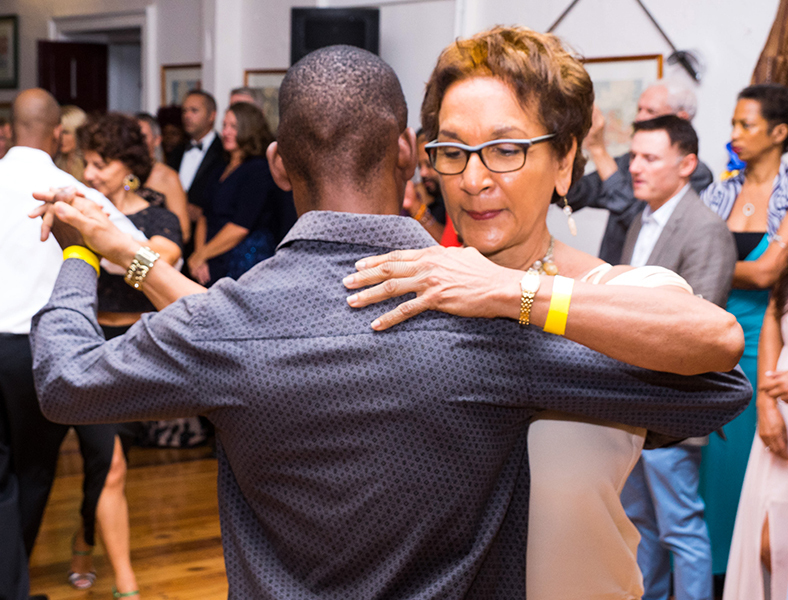 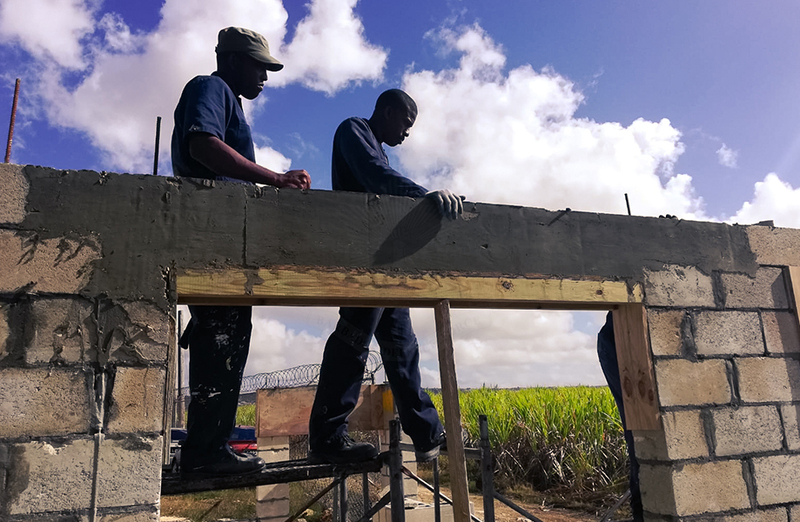 On 7 June 2018, Prime Minister of Barbados Mia Mottley declared the situation a national emergency and stressed the need to move the situation from one of crisis intervention to one which seized economic opportunities as soon as possible. 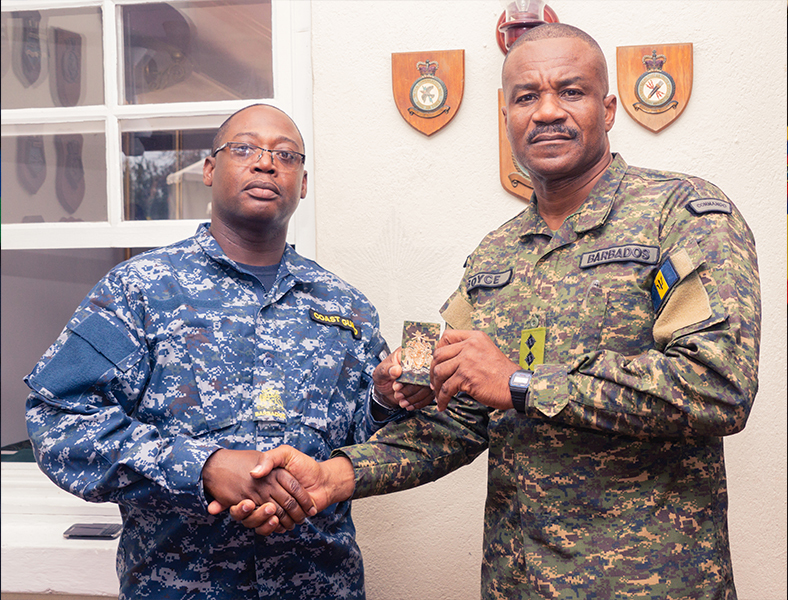 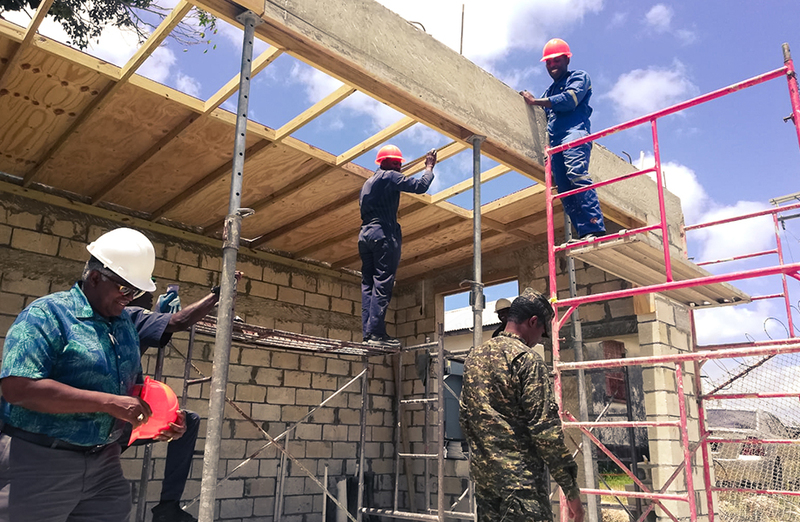 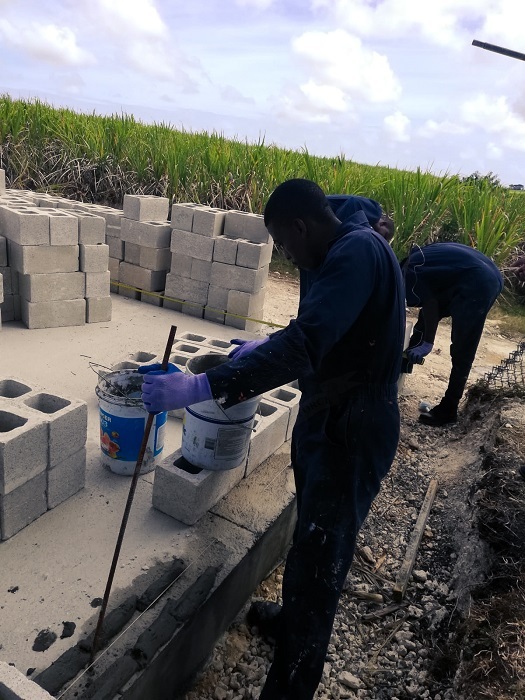 To date the Barbados Defence Force has coordinated national efforts and participated in the clearing tasks with several interagency partners including the Barbados Sea Turtle Project. 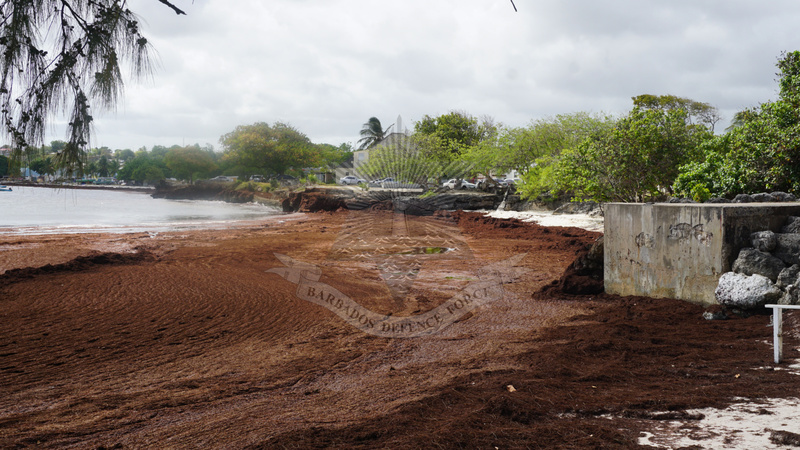 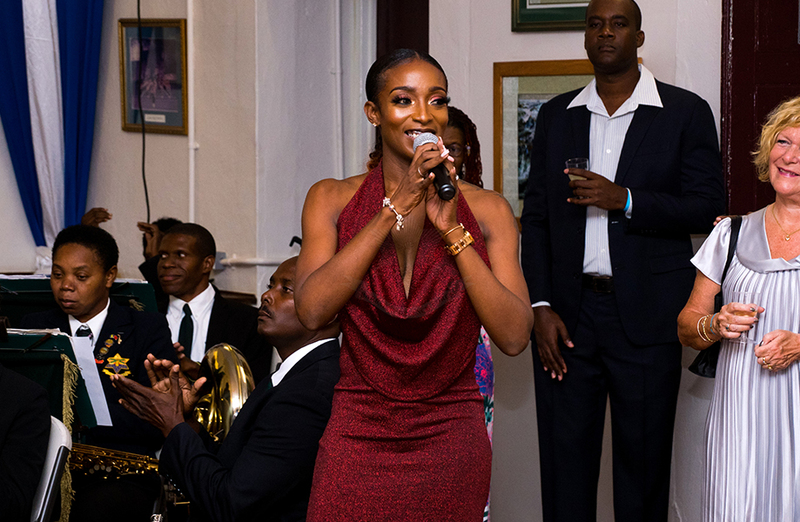 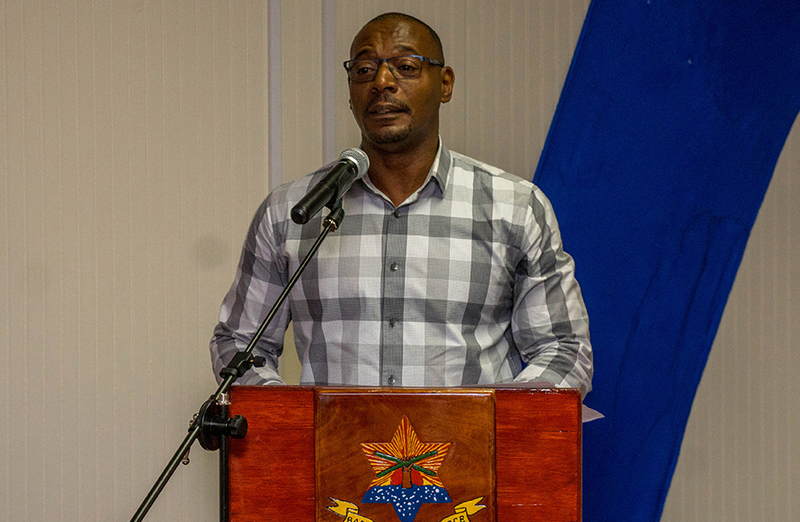 Captain Ashton Caddle, the BDF’s liaison officer for the effort, has indicated that continuous action is required on several beaches including Bath, River Bay, Dover, Miami Beach, Turtle Beach, Welches, Rockley and Silver Sands.